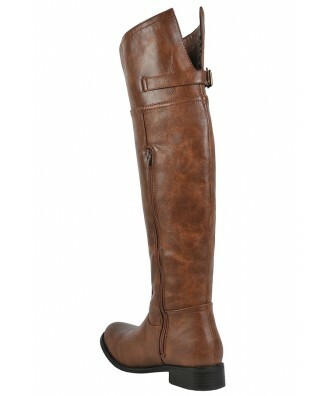 You have added Kimberly Riding Boot in Tan into shopping cart. 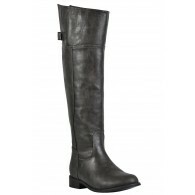 If you’re looking for the perfect riding boots to pair with everything in your closet, consider the Kimberly Riding Boot. 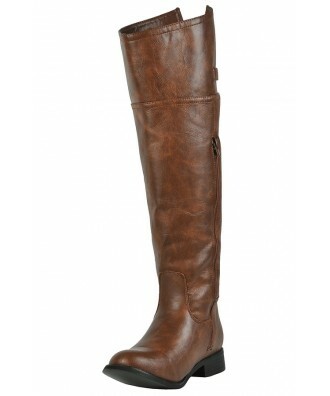 The Kimberly Riding Boot is made of animal friendly faux vegan leather. 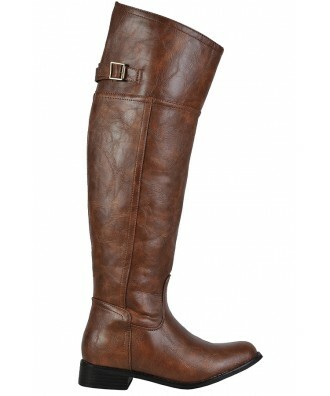 They have a rounded toe and a buckle closure at the top back. 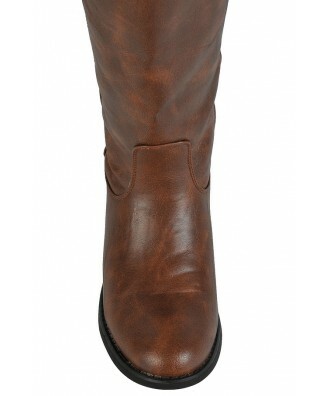 A zipper on the inside of the boot allows you to easily put them on or take them off. 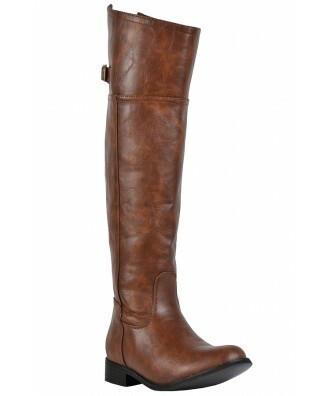 The Kimberly Riding Boot comes in two great color options and will soon become your new favorites. 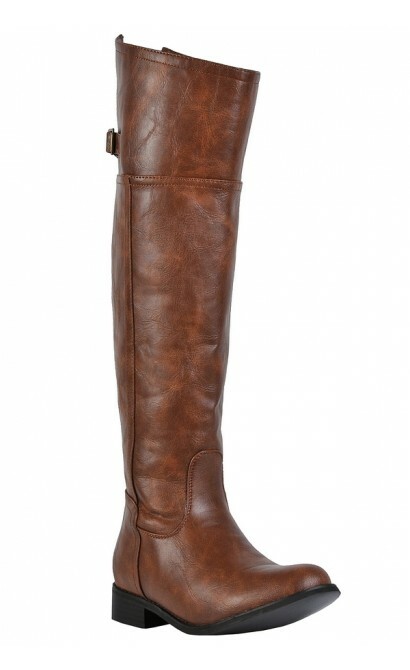 Pair them with skinny jeans, leggings, or anything else in your closet. Also available in Black and Smoke. Details: Available in whole and half sizes. All man made vegan friendly materials. 1” heel. 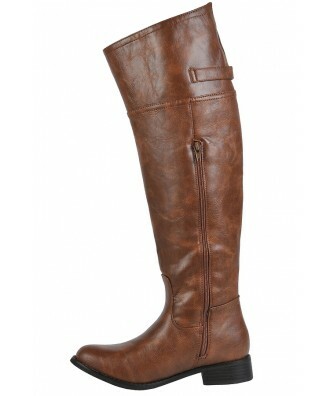 Size 6 measurements: Height: 20”. 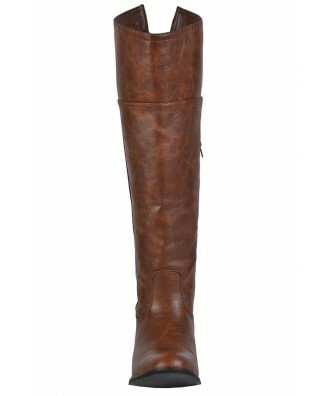 You have added Kimberly Riding Boot in Tan into Wishlist. 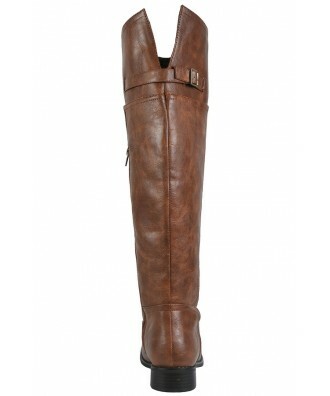 You have added Kimberly Riding Boot in Tan for Stock Notification. 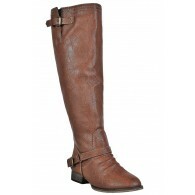 You have set Kimberly Riding Boot in Tan as a loved product. 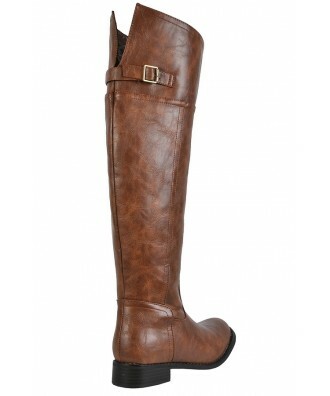 You have removed Kimberly Riding Boot in Tan as a loved product.